Almost 30% of dogs are highly stressed in the waiting room, but owners don’t necessarily know if their dog is stressed or not. 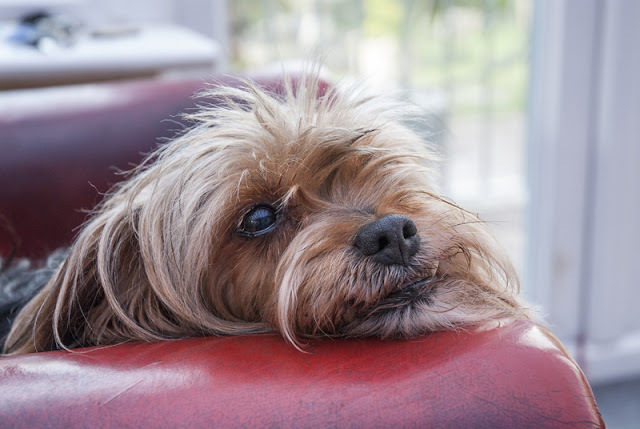 Some dogs show signs of stress in the waiting room at the vet, according to a study by Chiara Mariti (University of Pisa) et al, but there are some surprises in the results. 45 healthy dogs and their owners each came for a scheduled appointment at the vet, where they spent 3 minutes in the waiting room. The dogs were videoed while owners completed a questionnaire. Later, a veterinary behaviourist also rated the dogs based on the video. 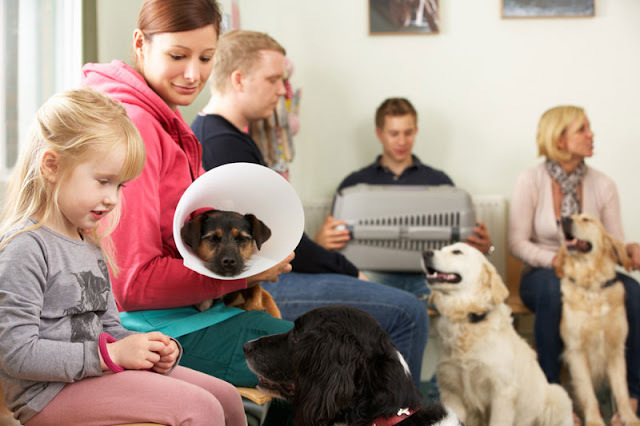 According to owners, 44% of the dogs experienced ‘low’ stress in the waiting room, 27% were at a ‘medium’ level, and 29% were rated as highly stressed. The behaviourist said 42% had ‘low’ stress, 29% ‘medium’ and 29% ‘high’. It looks like almost perfect agreement – except they didn’t agree on which dogs were stressed. And here’s where it gets interesting, because the researchers coded the videos for specific stress behaviours. 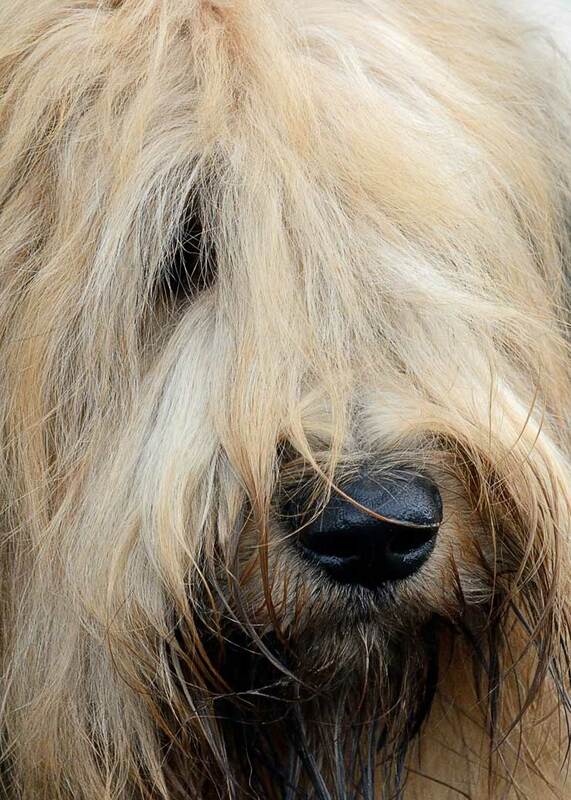 It turns out the owners noticed overt signals of stress, because when dogs tried to hide or to leave the waiting room they were rated as highly stressed. However, owners apparently did not notice other signs. In addition to these obvious signals, the veterinary behaviourist also rated dogs as highly stressed if they were trembling, had lowered ears and a low tail. The VB’s ratings correlated closely with the amount of time the dogs showed stress signals and the number of signals, but owner ratings did not. 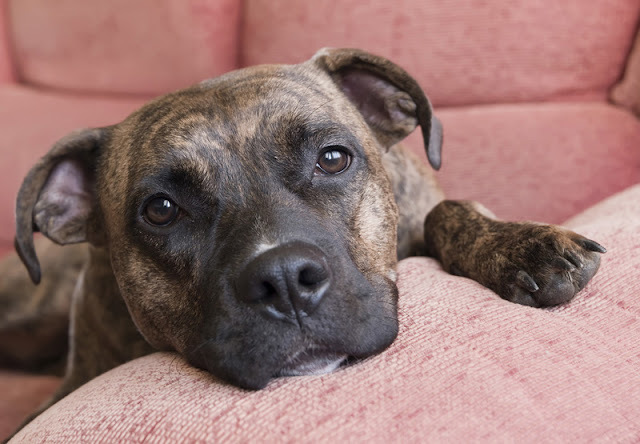 You would expect a veterinary behaviourist to give more accurate ratings because of their prior training, but this shows the need to educate people about signs of stress in dogs. If owners are missing stress at the vet, where they might expect their dog to be stressed, they are likely also missing it at other times. Photo: Aleksandr Junek Imaging s.r.o; top, Monkey Business Images. Both Shutterstock. When it was time to go to the consultation room, some dogs tried to refuse by not moving. The VB had successfully identified many of these dogs as highly stressed, but owner ratings were not linked to this behaviour. The videos showed that more than half of the dogs showed at least four signs of stress in the waiting room. The most common were nose licking, panting, lowered ears, crying, grooming, and yawning. Statistical analysis grouped all the signs into five categories: passive avoidance, active avoidance, high anxiety, high arousal, and medium anxiety. Another interesting finding is that according to the owners, 58% of dogs knew they were going to the vet before they got there. During the study, the waiting room was empty except for a person operating the video camera. Few of the dogs had previously been hospitalized or had a painful condition, but 76% were said by the owners to have some situations when they got stressed. If your dog is afraid at the vet, you can comfort them (the idea that you shouldn’t is a myth). You might also like to take tasty treats (like chicken or cheese) to the vet with you, to help your pet have a positive experience. There is also a Fear Free vet movement started by Dr. Marty Becker. Does your dog find vet visits stressful? Should vets give treats to pets? Far from being stressed, apart from my current dog, who was terrified of everything strange when he was younger, all of my dogs have behaved at the vet as if they were getting a huge treat - and some of them had undergone major surgery, and emergency procedures for snakebite or major bleeding wounds. I would be interested to see a similar study with cats. 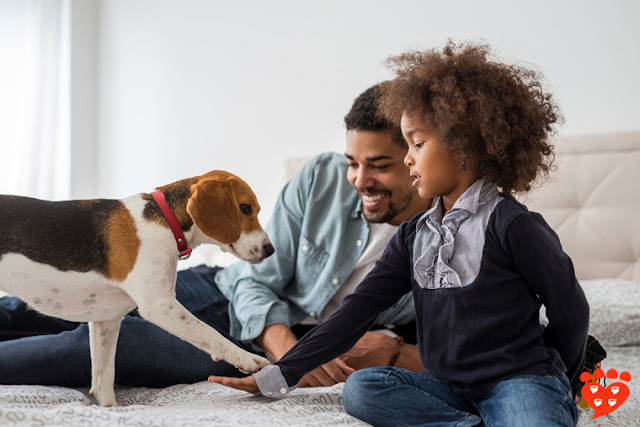 On average, if dogs are properly socialized, this behavior is not predominant which may explain why the results vary from owner to expert. 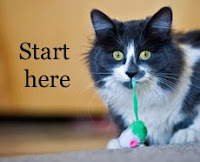 Owners as introverts perhaps projecting their perception of the scenario onto their pet. Indoor cats, however, would be candidates as high stress as the act of leaving their home is stressful enough to stop their cute little tails from standing up in joy. As a member of the financial community, I have seen how skewed facts can determine markets. It would be a shame if the mobile vet "industrial complex" used this article as Marketing material.